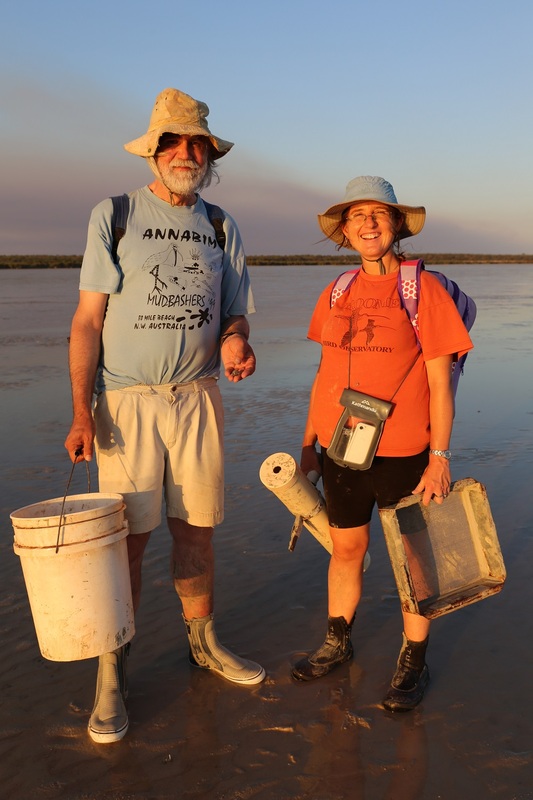 Project Description Use fine-scale sampling to identify how benthic species are distributed with respect to themselves, each other and functional traits across the tropical tidal flat of Roebuck Bay. Team Marc Lavaleye, Tanya Compton, Micha Rijkenberg, Grant Pearson. Most sampling conducted by foot, with the exception of hard to reach and difficult sampling locations in Roebuck Bay i.e. Crab Creek and Bush Point. Project Funders University of Groningen, Royal Netherlands Institute for Sea Research, Bennelongia Environmental Consultants. 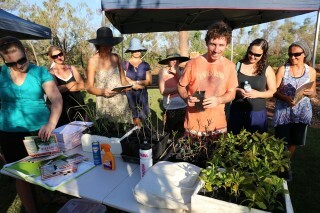 Magabala Botanical Park drew a happy crowd on Sunday August 25, with Tom Harley showing the Kimberley flora in Broome North. There were smiles everywhere with free native plants and books written by the Society for Kimberley Indigenous Plants and Animals (SKIPA) on Growing a Native Garden in Broome. 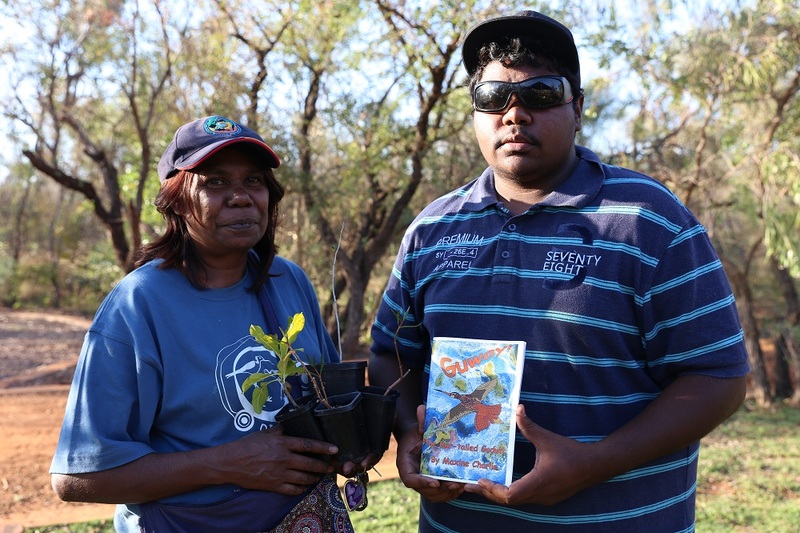 Roebuck Bay Working Group, SKIPAS and LandCorp are quietly optimistic that gardening with natives is a ‘growing’ trend, resulting in clean and healthy coastal waters without blooms of Lyngbya. 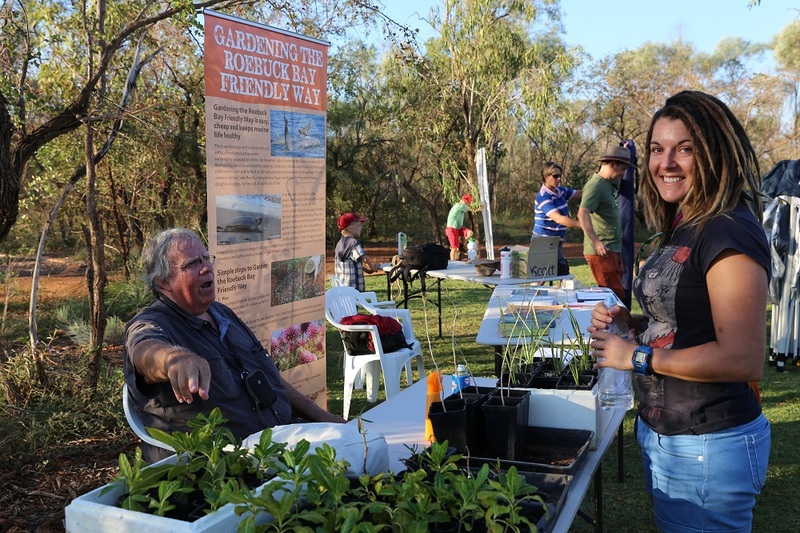 Thanks National Science Week for funding this great community event and Hilary Wilkins (LandCorp), Michelle Teoh (SKIPA) and Grey Mackay (RBWG Chair) for helping to make the event so successful.